In 1966, when the Università Pro Deo was founded, the Library held about 20.000 volumes, gifts from friends of the University. In 1977, when Luiss Libera Università Internazionale degli Studi Sociali was founded, the Library's collections were curated according to the needs of the Departments of Economics and Political Science, and, starting in 1982, the newly founded Department of Law. The Library's officers were located on the ground floor of Villa Alberoni, the University's historic campus, while the stacks and reading room were located in the basement. Under the guidance of Guido Carli, the University invested in an electronic database using software and hardware from IBM. The avantgarde automation project regarded teaching, student services, accounting and library resources, leading to the creation of Stairs, a cataloging software for bibliographic material. In 1988, the Library was moved to its current location due to the growth of the Library's collection to 45,000 texts and the expansion of its services. 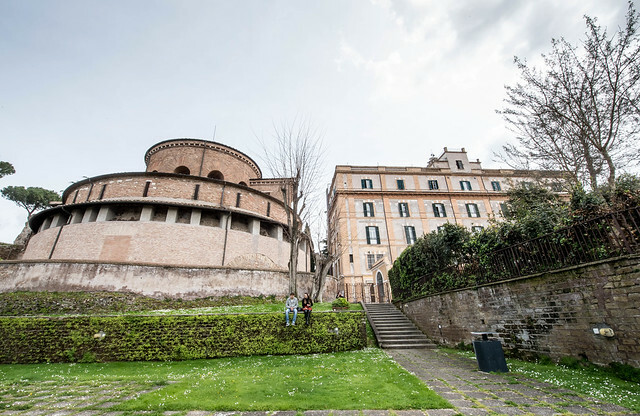 On Via di Santa Costanza, the Library is now located next to one of Rome's most important ancient monuments, the Mausoleum of Santa Costanza, built in memory of Constantine's sister. In 2000, the Library adopted the ILS Amicus, introducing the use of international standards to catalog the collection of 75,000 monographs and 1,200 periodicals. In 2013, the Library introduced Summon, allowing users to simultaneously search the University's numerous electronic resources and archives. In 2018, following two years of intense renovations, the purchase of the entire ground floor of Cecilia Serlupi and a second external pavilion, the Library offers its users modern spaces, inspired by contemporary design, and highly technological services. In 2018, the Library also introduced the Alma platform, becoming the third institution in the world to use it alongside Summon. The Library participates in numerous projects, including ACNP, ESSPER and NILDE. As of 2018, the Luiss Guido Carli Library collection amounted to 100,400 books, 1,170 hardcopy journals (400 of which are current issues) and 180 databases. The Library also provides access to 55,000 e-journals and 120,000 e-books. Four valuable collections enrich the Library’s holdings: the Bachelet Collection, the Ungari Collection, the Pujia Collection and the Collected Works of Guido Carli. In 1992, the Bachelet family donated the private law library of Vittorio Bachelet, one of Luiss University's first professors (1969-1974), to the Luiss Research Center on Public Administrations. The collection includes volumes on administrative and public law. In 1999, part of the private library of Professor Paolo Ungari was donated to the Luiss Library. The collection includes a number of volumes in the field of law, especially on human rights and the history of law, political history, and the history of institutions. In 2000, the Luiss Library was given Senator Francesco Pujia's private library. The collection is made up of volumes on law, especially criminal law. An important section includes volumes and pamphlets on criminal (1030-31) and civil (1942) Fascist law. The collected works of Guido Carli, who witnessed and took part in many of the most important economic and social events in Italy in the second half of the twentieth century, is a complete collection of his writings and speeches, from his thesis in 1936 to the last articles that appeared in newspapers shortly before his passing. The full text of the documents in digital format is available in the digital library archive.